This is the biggest Irish bat and it is often found roosting in buildings although 13% of its roosts recorded in Ireland have been in trees. The Leisler’s bat has distinctive level flight at greater heights than the other Irish species, from which it dives down after dung flies and beetles. It can be seen soon after sunset flying over open spaces such as parks and fields. Because it is one of the first bats to emerge in the evening and is quite large, the Leisler’s may be confused with swifts that may also be flying around. They are best told apart by the wing shape, the swift’s wings are smoothly curved and scimitar-like. Swifts also shriek, while the Leisler’s bat is inaudible without a bat detector. The Leisler’s bat is rare in Britain and the rest of Europe but it is relatively common here. For this reason the Irish population of Leisler’s bats is considered of International Importance. 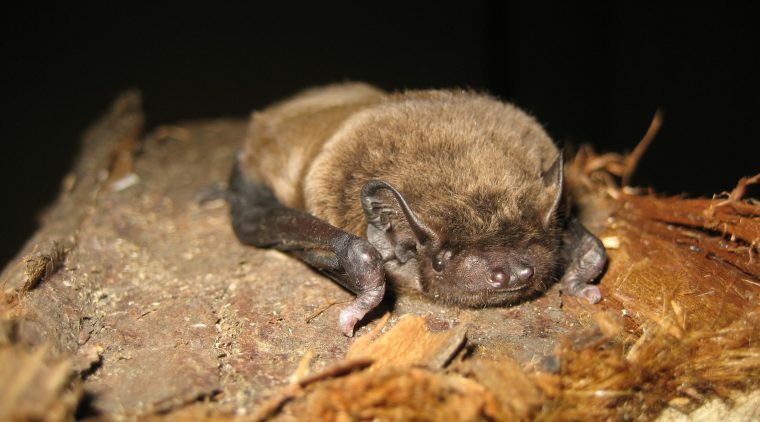 Leisler’s bat is monitored by the Car-based Bat Monitoring Scheme and its annual trend has shown significant increases since 2003. The reasons for the increase is poorly understood but it may be recovering from past declines, or responding to increased woodland cover and/or climate change.